Pickup: Outside Café France in Djemaa El-Fna. 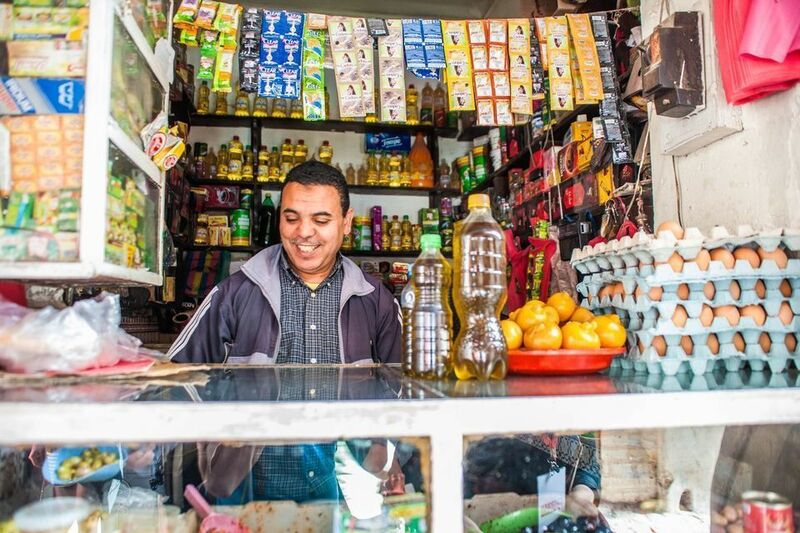 As you walk into Djemaa El-Fna through the main entrance, this is a 3-storey café on the right side of the square. 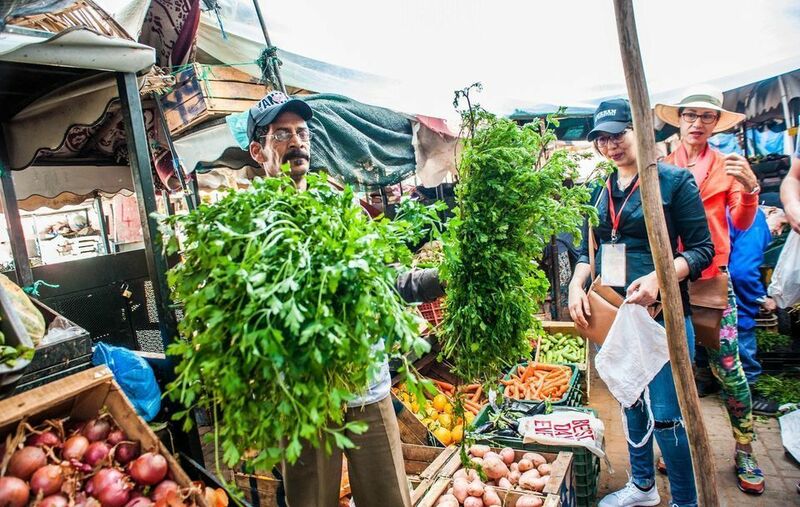 All through Djemaa El-Fna there are fake guides who will try and convince you to do a tour with them, so please make sure that you find the official guide who will be holding an Urban Adventures sign or badge, and be waiting for you in front of the café. 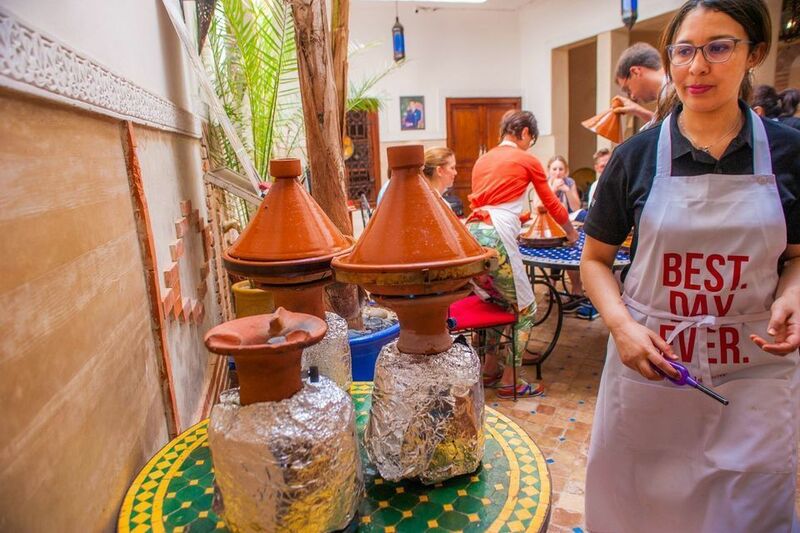 Get ready for the ultimate tajine experience on this one of a kind tour in Marrakech. 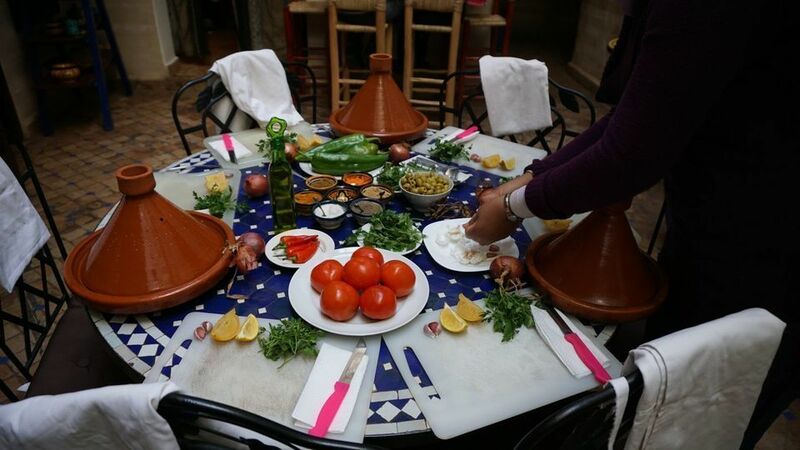 From market to plate, you’ll learn how to whip up a tajine from scratch, using ingredients from the famous Marrakech souks. The best part of it all? 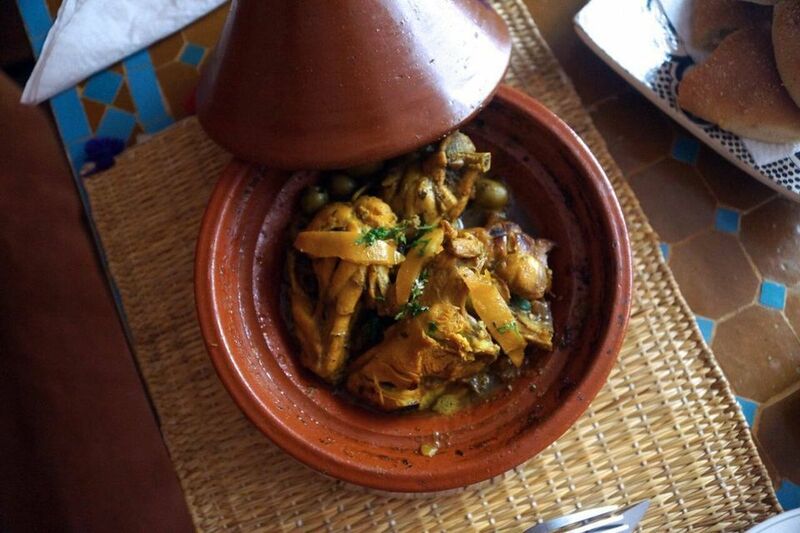 You get to devour your tajine after you’ve made it! 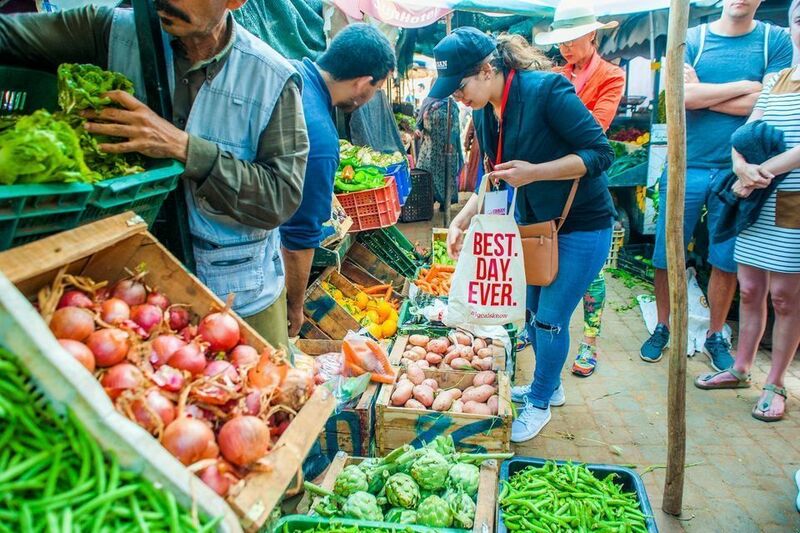 Stroll among the locals as you select the meat, vegetables, herbs, and spices that form the basis of Moroccan cuisine. 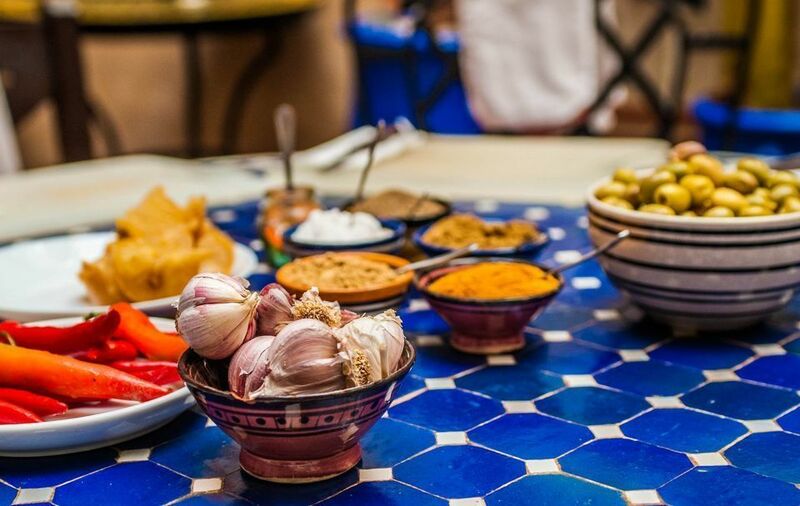 Learn how spices are used, and about their historic importation to Morocco over thousands of years. 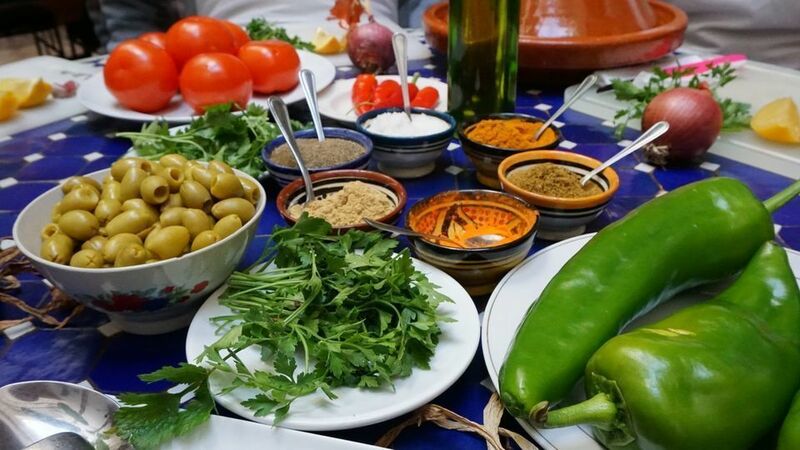 Discover homegrown ingredients, such as saffron from Taliouine, mint and olives from Meknes, and oranges and lemons from Fez. 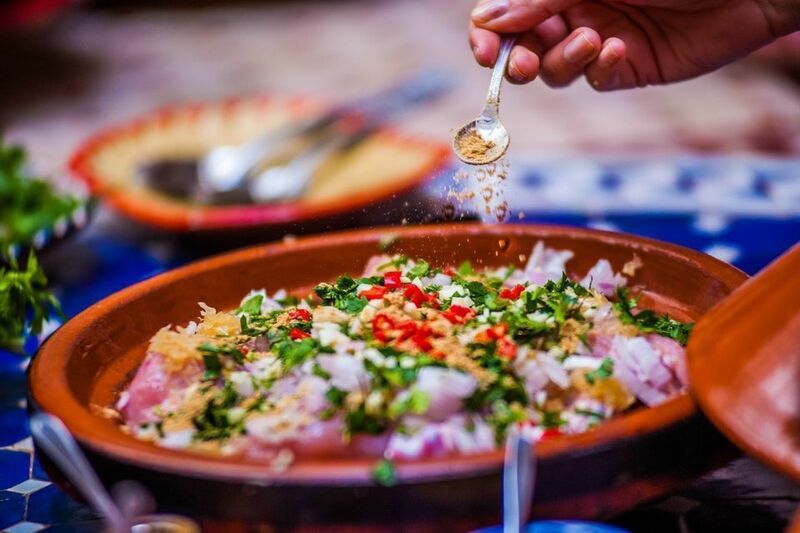 Then, during your hands-on cookery class, an expert chef will teach you how to make traditional dishes central to Moroccan meals. 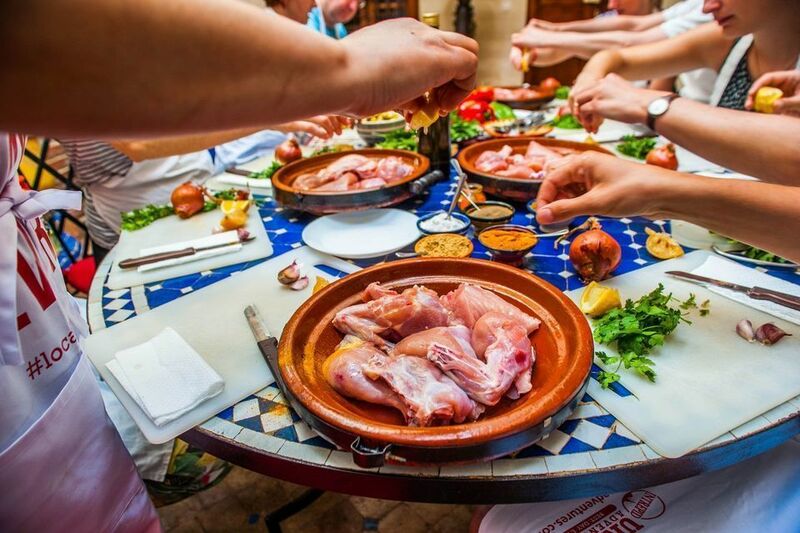 Among the most famous Moroccan dishes are couscous, pastila, tagine, tanjia, and harira. 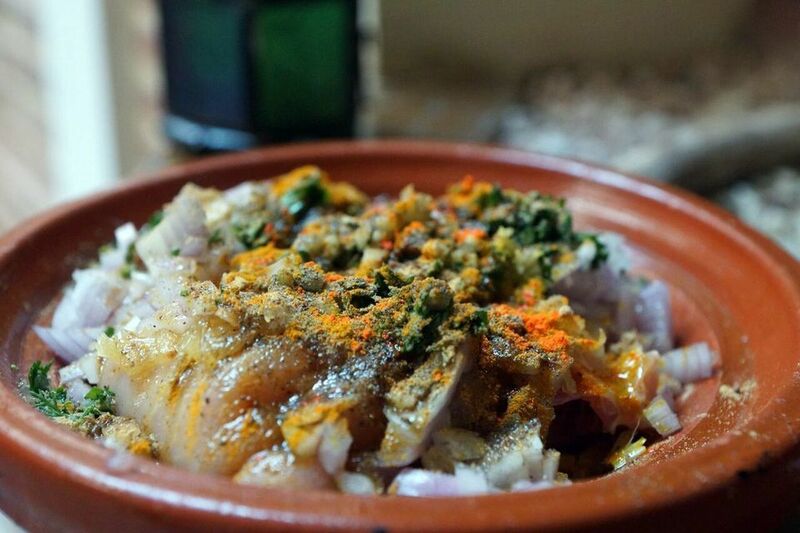 Although the last is a soup, it is considered a dish in itself, especially during Ramadan, and is often served with delicious local dates. 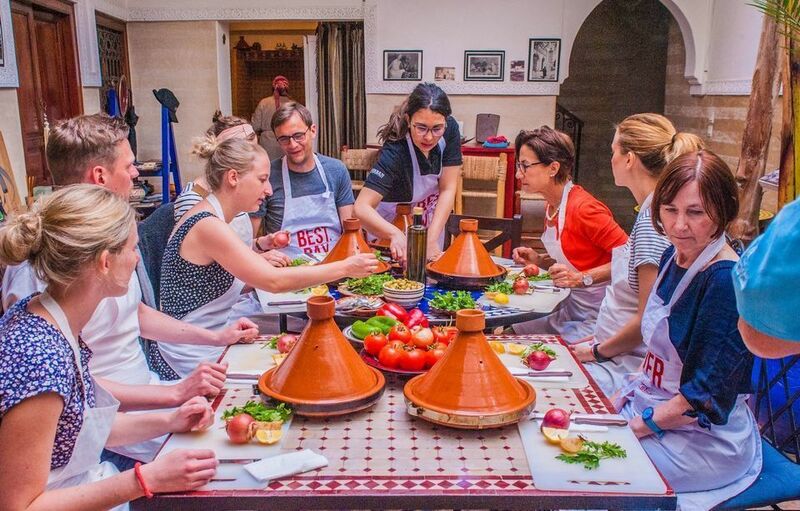 Once you have prepared your tagine meal, sit down to savor the delights of your cookery class in the delightful surroundings of a typical riad. 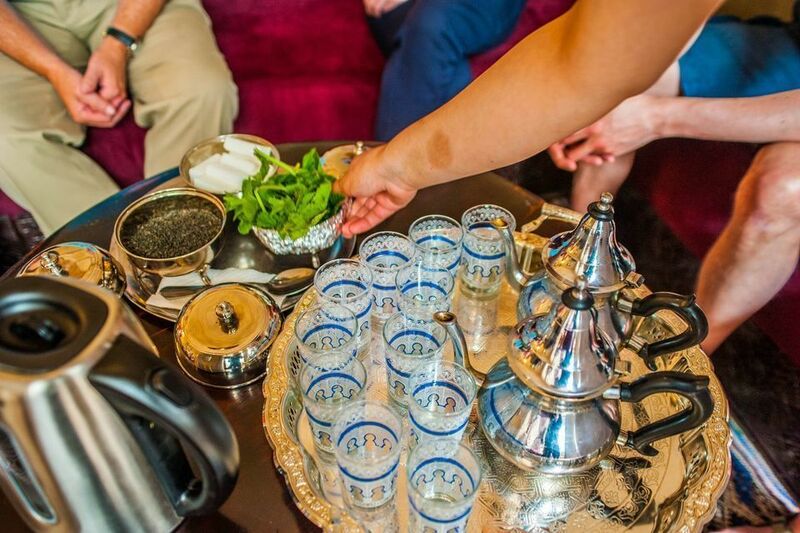 Afterwards you will be transferred back to your hotel, armed with your own exclusive Moroccan recipes to try at home. Wir waren sehr sehr zufrieden und Karima hat uns sehr gut unterrichte. Es war ein ganz besonders Erlebniss. Tolles Erlebnis mit Marktbesuch und sehr frisch eingekauftem Huhn. 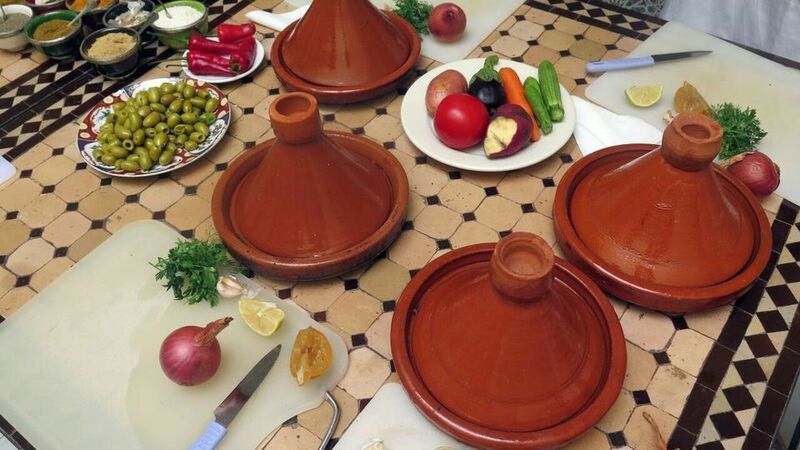 Die Tajine haben wir von grundauf selber zubereited und hat wunderbar geschmeckt. Wirklich empfehlenswert. 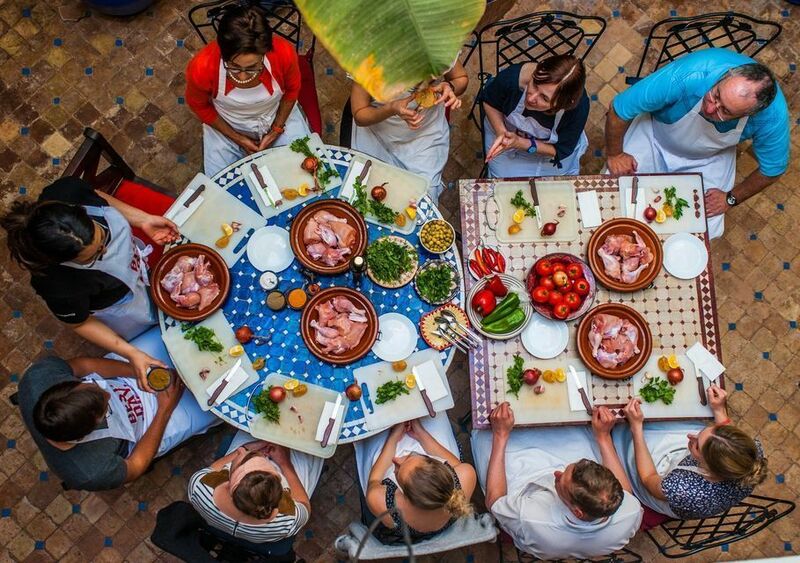 Der Kochkurs fand im Freien auf der Dachterasse eines Riads statt, was super war. Die Kochlehrerin war super organisiert und hat alles gut erklärt. Der Einkauf auf dem Markt war ebenfalls klasse, da sie uns instruiert hat wo wie was wir holen können und sollen. Das gekochte Rezept war ein marrokanischer Klassiker (Chicken Lemon Tanjin) und hat wunderbar geschmeckt. Absolut zu empfehlen der Kochkurs! Well done! 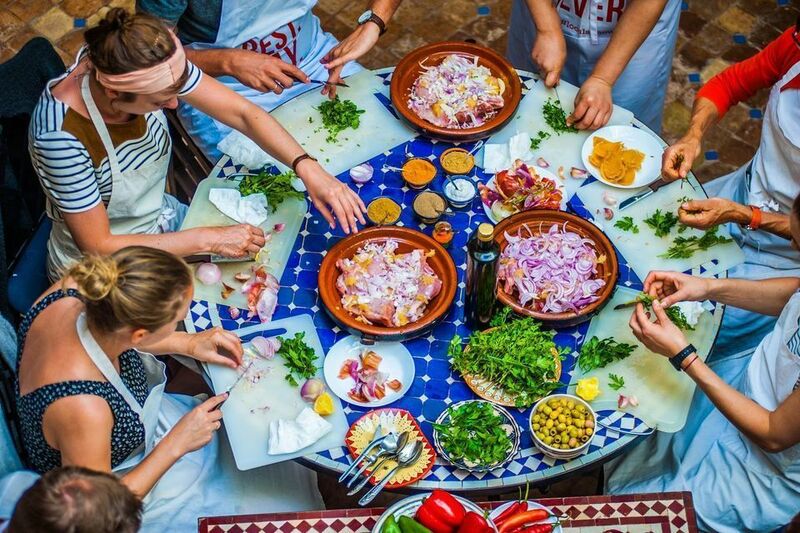 Wonderful cooking class! Karima was so warm and welcoming. 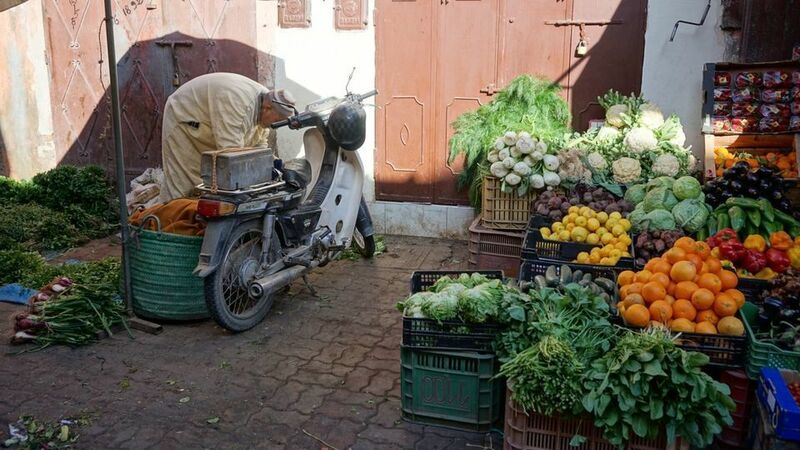 She was eager to answer any questions we might have about Moroccan life and cooking! 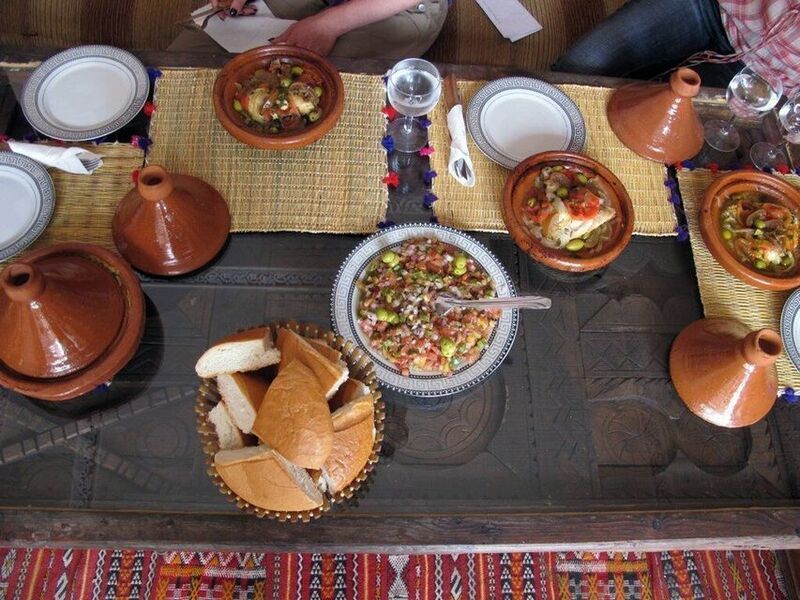 Chicken tajine, salad, and desert were delicious. Sanae was really organised and every thing was pleasant. Nice venue and very informative. Lovely way to spend a morning/afternoon. I loved it!!! 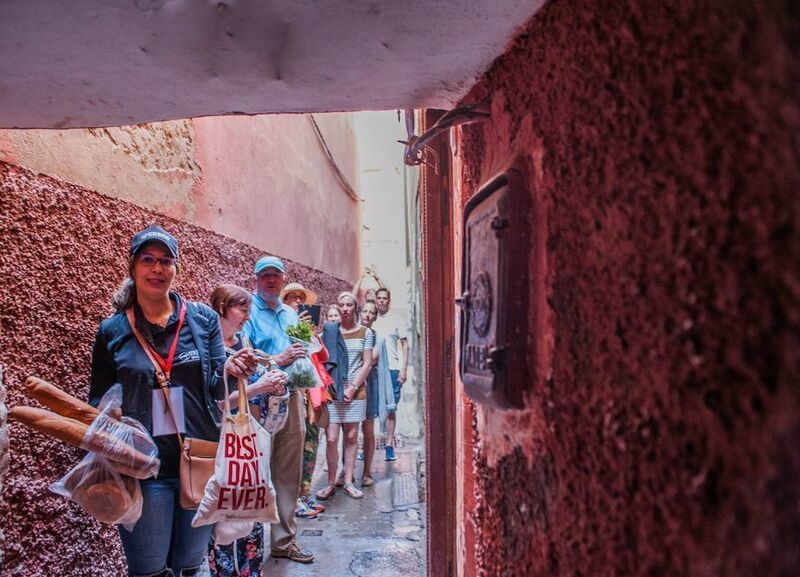 The guide was amazing, she told us a lot about the culture and habits of the moroccan country. Whe went to the market to get all the stuff we needed and the people were lovely. We recommend it to everyone!! The food and the tea that you make tastes amazing. Somae was amazing! So friendly and knowledgeable. I cannot praise Samae enough for her cheerful and joyful attitude as well as her professionalism in every aspect of our activity with her. 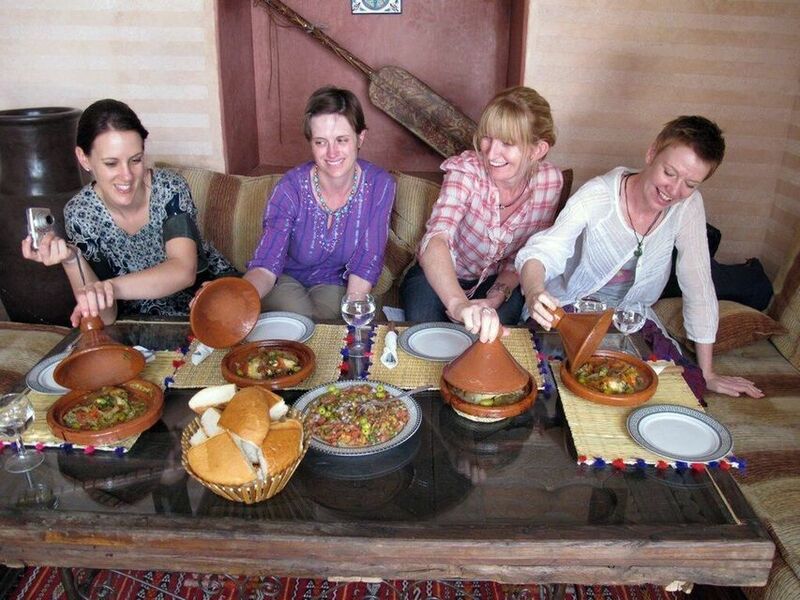 We had a lot of fun for several hours and learned a great deal about Moroccan life, food and culture. Join her class and give yourself a real treat. Es wahr sehr interessant, ein Stück Kultur so hautnah erleben zu dürfen. Hervorzuheben ist insbesondere, dass man selber kocht und nicht nur zuschaut. 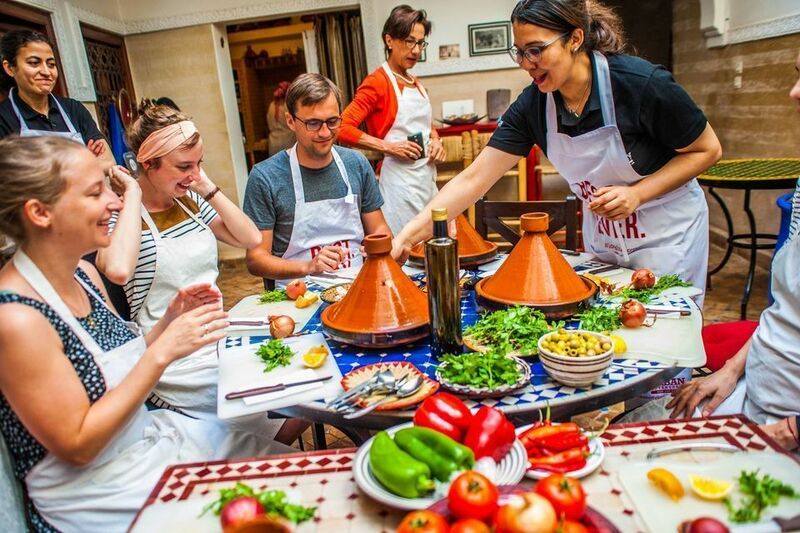 So hat man am Ende des Kurses auch die Fähigkeit erlernt, eine Tajine zuzubereiten. 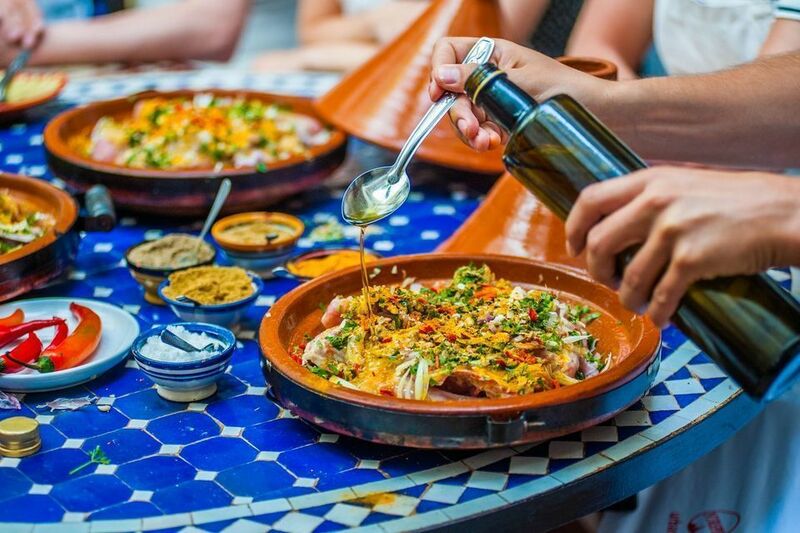 Die Tajine war ausserordentlich lecker (besser als in gewissen Restaurants) und die Köchin war sehr nett. Es hat riesigen Spass gemacht. Sehr empfehlenswert! Die Lehrerin war große Klasse. Die Einkaustour zu Beginn ein Erlebnis. Karima was very nice!! Great class! 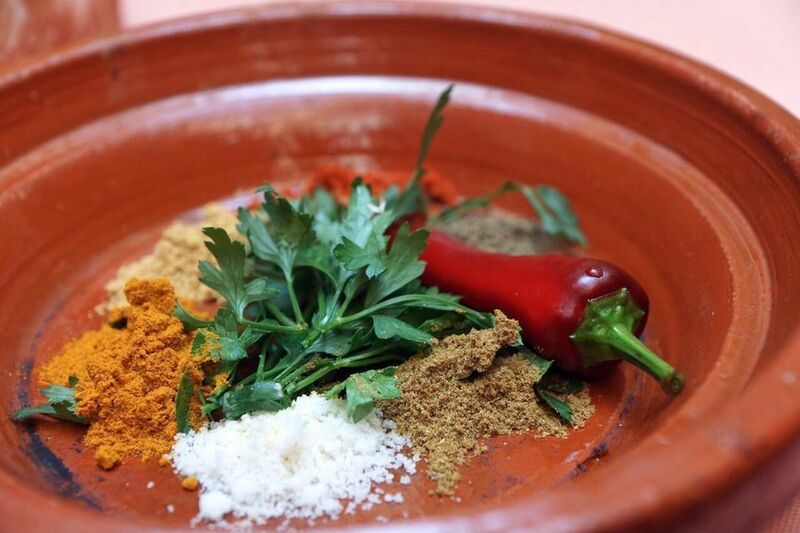 Great little tour that began on the market to shop the different ingredients for the tagine. Great guide, she told us different things about the food and culture. But the negative was that we were 18 on the tour which is too many when we're shopping in the small markets and she couldn't quite "control" all of us. I mean, I understand why she brings so many along but when the price is this high, you kind of expect a more unique experience rather than the feeling of being herded around. 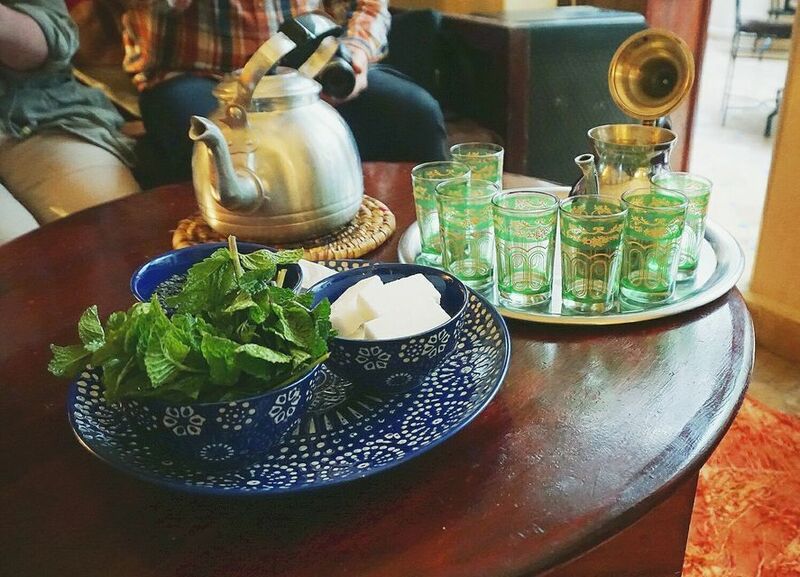 Anyways, we made great food, had mint tea and a Moroccan dessert. Was fun to attend! Der Beginn hat ein wenig holprig angefangen-zwei von 10 Leuten kamen zu spät und da es Samstag war(Freitags sind die Läden zu) mussten wir etwas warten bis die Händler ihre Ware verkaufen konnten. 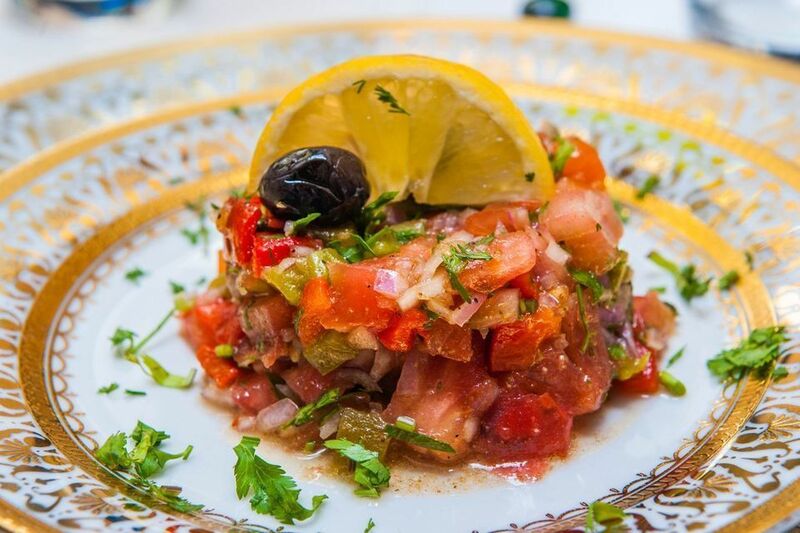 Nachdem wir alle Zutaten mit unserem Guide gekauft haben, folgten wir ihr zu einem Riad. Die Zubereitung des Gerichts hat wirklich sehr viel Spaß gemacht, war ausreichend und extrem lecker. Da die Marrokaner Fleisch lieben ist es eher keinem Vegetarier zu empfehlen. Das Hühnchen wurde frisch geschlachtet. Definitiv ein Highlight, wenn man sich für die marokkanische Essenskultur interessiert. 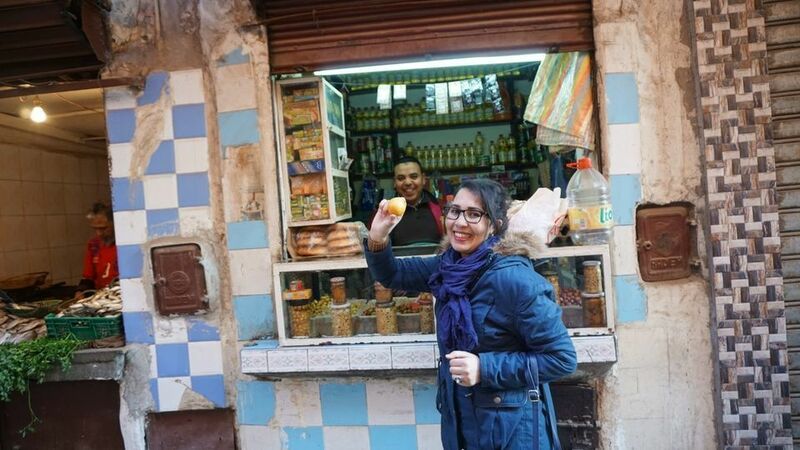 Our local guide went with us to the local market and afterwards to the beautiful Riad were we could share a wonderful experience with two other girls. 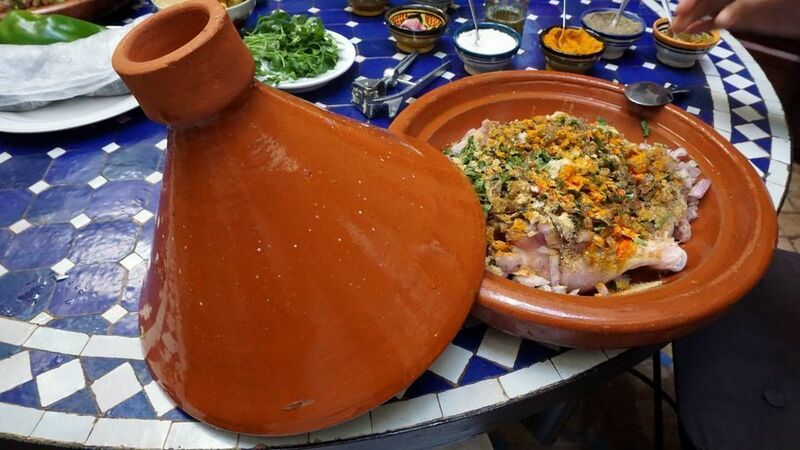 This enriched our stay and inspired us to buy a Tajine and cook back home some delicious Marocain cuisine! Wir waren zu 100% begeistert von dem Kochkurs mit Souad und Karima. Activité à ne pas manquer ! Es war ein sehr schönes Erlebnis, worauf wir gerne zurückblicken. Wir können es wirklich empfehlen. 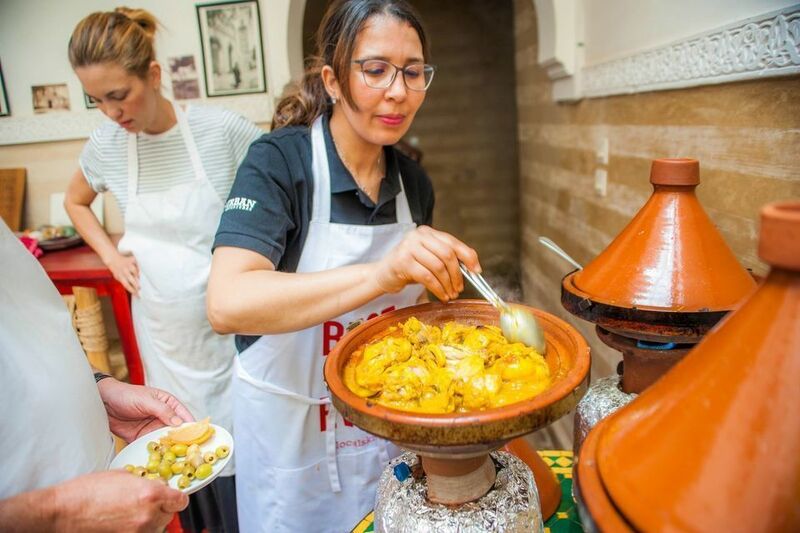 Herzlich, lustig und spannend, so erlebt man Marrakesch! Unsere Gastgeberin Karima war einfach unheimlich sympathisch und alle in ihrem Team sehr gastfreundlich. Man fühlte sich echt willkommen. Wir waren eine große Gruppe mit 14 Leuten aus der ganzen Welt. Es war ein großer Spaß und wir wurden rundherum gut betreut. Das Essen schmeckte wunderbar und der Besuch des Marktes mit einer Einheimischen war eine super Erfahrung. 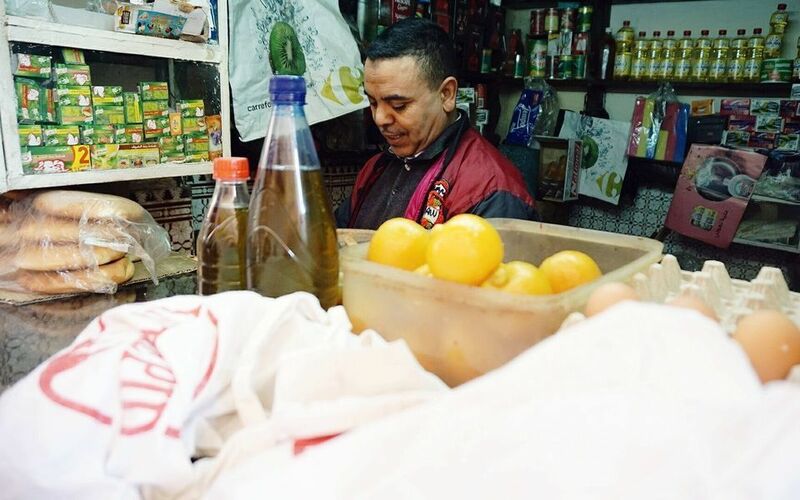 Pünktlich am Treffpunkt, freundliche Leitung über den heimischen Markt, gutes Englisch und Französisch, frische Produkte und klare Anweisungen, netter Empfang im Riad mit Tee und Keksen. Das selbstgemachte Essen (Vorspeise, Hauptgang und Nachtisch) war sehr gut und mehr als nur ausreichend. Auf Vegetarier wurde geachtet. Overall really fun experience! 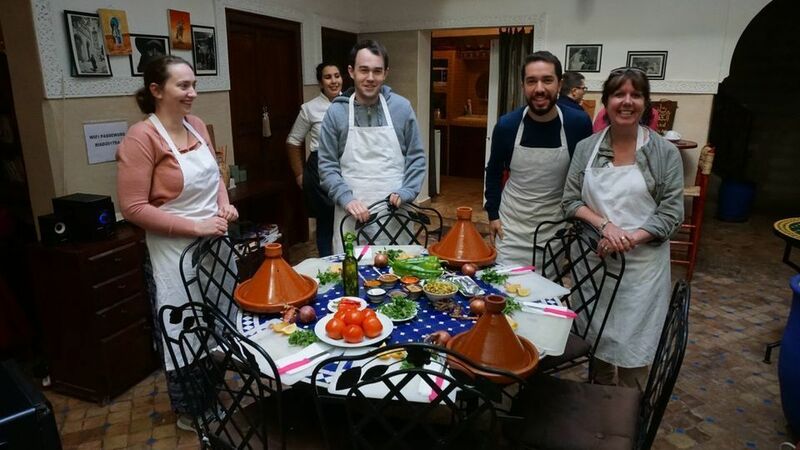 At first it was a lot of waiting while getting the ingredients and waiting for them to be prepared, but later we had a lot of fun chopping and finishing up the tagine! 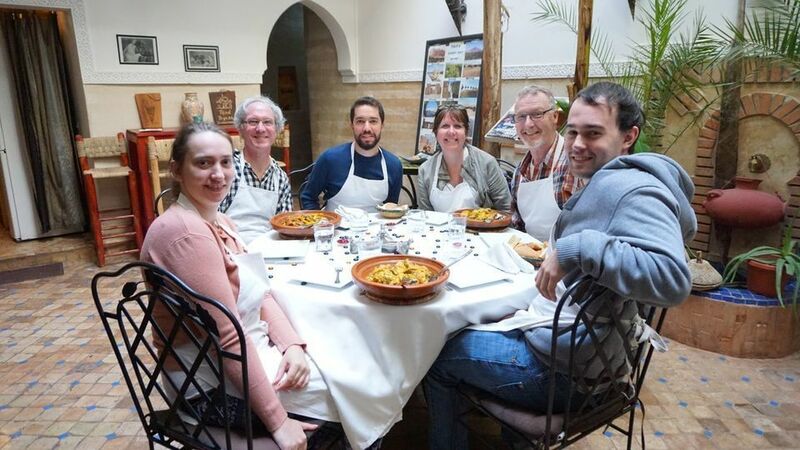 Fantastic guide, fantastic company and amazing food. Take this trip it's worth every penny. 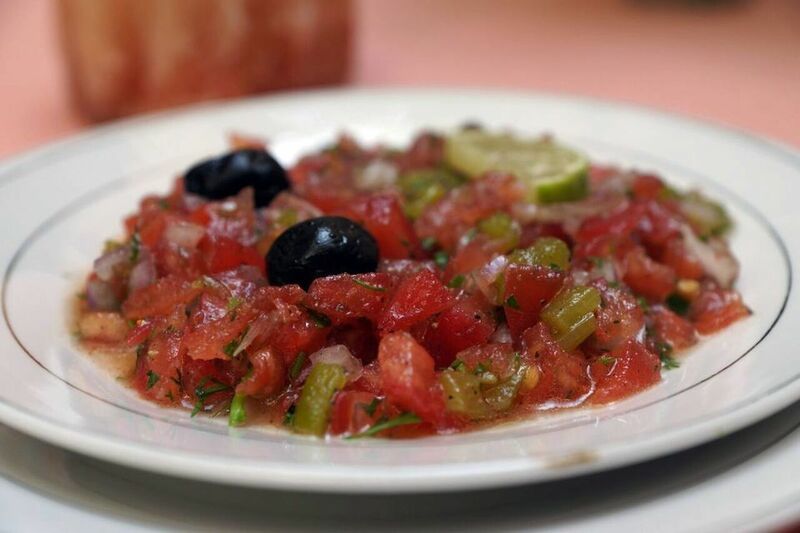 It's a brilliant Marrakech experience with absolutely delicious rest to enjoy at the end. Gott och trevligt. Fick vänta på guide. Everything went as expected. The lady was very nice. No comments because everything was good. The pick up was about 25 minutes late, but it lasted longer to compensate. 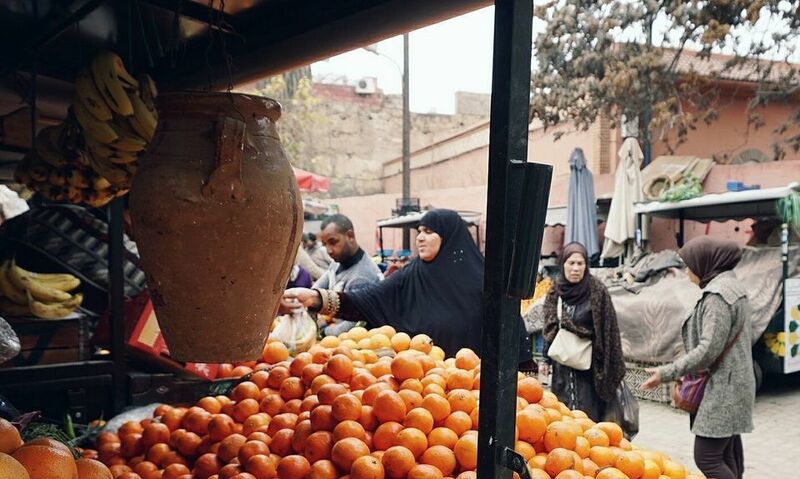 Was interesting to go around the souk to buy the ingredients and you have some fantastic photo opportunities whilst doing this. 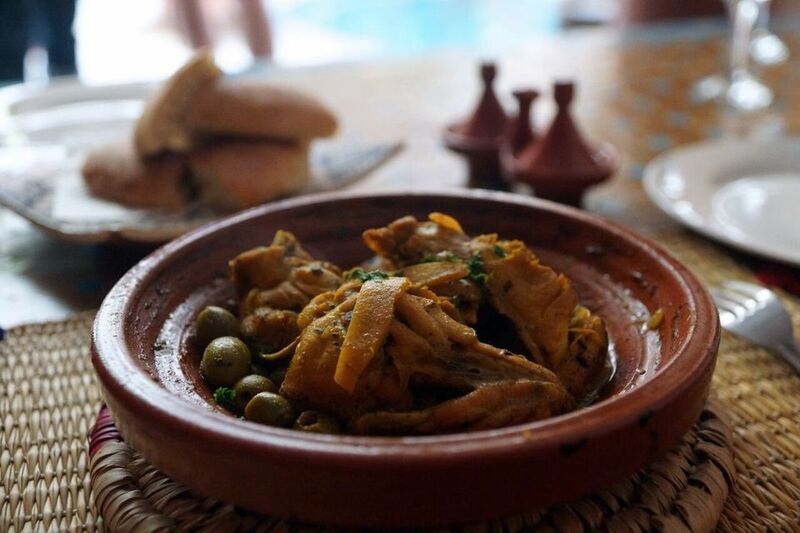 The setting in the riad is lovely and the food was damn good. A nice activity away from the chaos that is Marrakech. Lovely guide who answered all questions very well and amazing food (3 courses) including the recipes. Recommended!